G-DRAGON IS V.I.P: GD&TOP: COLABORAN EN "KPOP STAR" CON "OH YEA!!" NUESTRO QUERIDO DUETO FAVORITO DE LA YG, GD&TOP TUBIERON UNA COLABORACION ESPECIAL EN EL PROGRAMA "KPOP STAR", JUNTO CON LA PARTICIPANTE PARK JI MIN. INTERPRETARON "OH YEA!!! "; CANCION QUE ES INTERPRETADA ORIGINALMENTE JUNTO A LA GUAPA PARK BOM DEL GRUPO 2NE1. CREO QUE HABLO POR LA MAYORÍA DE LAS VIP´S, AL DECIR QUE ES UNA DE LAS MEJORES CANCIONES QUE TIENE EL DUO Y EN LA VOZ DE PRK BOM HACEN LA MANCUERNA PERFECTA; POR LO TANTO AL OIR LA INTERPRETACIÓN DE PARK JI MIN PODEMOS VER UNA GRAN DIFERENCIA ENTRE AMBAS CANTANTES Y EN EL ACOPLAMIENTO CON GD&TOP. NO PUEDO DECIR QUE TIENE MALA VOZ. PORQUE NO ES ASÍ. DE HECHO TIENE UN TIMBRE DE VOZ MUY AGRADABLE Y BONITO PERO.... DESGRACIADAMENTE NO MEGUSTO LA INTERPRETACIÓN QUE REALIZO JUNTO CON GD&TOP, SI DEJAMOS A UN LADO LA COMPARACIÓN CON LA VOZ DE PARK BOM (POR QUE SINCERAMENTE NO TIENEN COMPARACIÓN), CREO QUE A LA CHICA LE GANARON LOS NERVIOS, SE VEÍA MUY TIESA, NO SE MOVÍA NI INTERACTUO CON ELLOS, SIENDO QUE ELLOS DABAN PIE A QUE EL PERFORMANS FUERA MAS FLUIDO; Y LOS CHICOS DE BIGBANG LA OPACARON POR COMPLETO. PROBABLEMENTE SEA POR QUE LE FALTA MANEJO DEL ESCENARIO, PERO SINCERAMENTE QUIEN NO HA VITO LA ACTUACIÓN DE ESTOS TRES CHICOS CON ESTA CANCIÓN!!!! SABEMOS QUE DEBE DE HABER UN CIERTO COQUETEO ENTRE LOS ELLOS, PORQUE LA CANCIÓN HABLA DE ESE SENTIMIENTO, ENTONCES TENDRÍA QUE HABER ACTUADO UN POCO MAS COQUETA, MAS LINDA CON ELLOS. ADEMAS DE SABER DE ANTEMANO QUE G-DRAGON SE MENEA COMO GUSANITO EN EL ESCENARIO Y ES FÁCIL QUE INTIMIDE U OPAQUE A LOS DE MAS POR LOS MOVIMIENTOS TAN EXAGERADOS QUE ABECÉS REALIZA, Y QUE POR DESGRACIA FUE LO QUE LE OCURRIÓ A LA PEQUEÑA PARK JI MIN. RARO QUE NO LA HAYAN CORREGIDO DESDE LOS ENSAYOS, Y MAS GD QUE ES UN PERFECCIONISTA EN POTENCIA,(????) NO ESTUBO MAL PERO SINCERAMENTE ESPERABA ALGO MEJOR POR SER LA YG NO CREEN?? 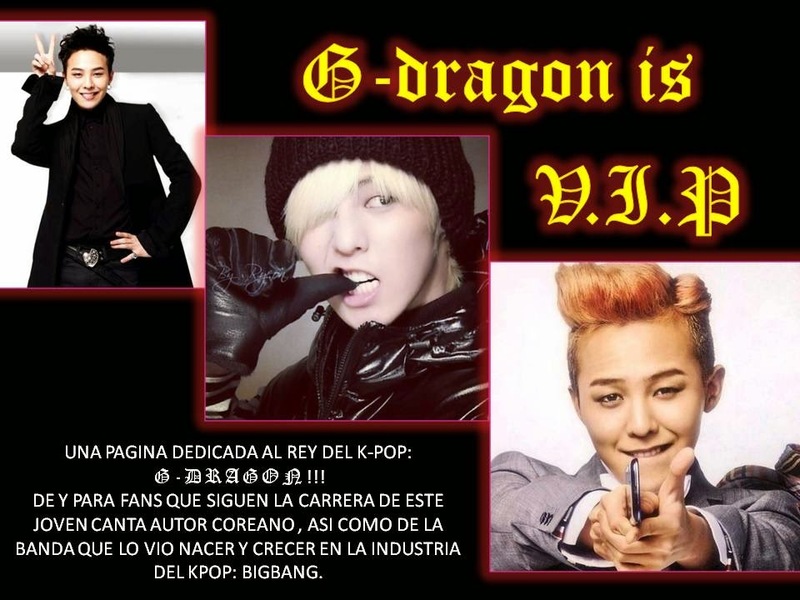 O USTEDES VIP´S QUE OPINAN?? ?